Seriously, people? How about we mind our own business stop looking for ways to needlessly pick apart how Kourtney decides to use her kid’s mouth to catch bugs? It all started this morning when Kourt posted a cute pic to Instagram of her swinging her eight-year old son Mason by the ankles in an open field with the caption “He’s got a small mouth but I still caught plenty of butterflies,” and was almost immediately inundated with negative and judgmental comments calling her form of parenting “dangerous” and “irresponsible.” The pic, which any normal person would see as a harmless day of butterfly catching between a mother and son, has turned into a stomping ground for self-righteous “parenting experts,” bent on finding every little thing wrong with how Kourtney chooses to use her son’s mouth to snag butterflies. Mom’s have it hard enough as it is trying to raise their kids in today’s crazy world. Why don’t we let Kourt parent how she sees fit? 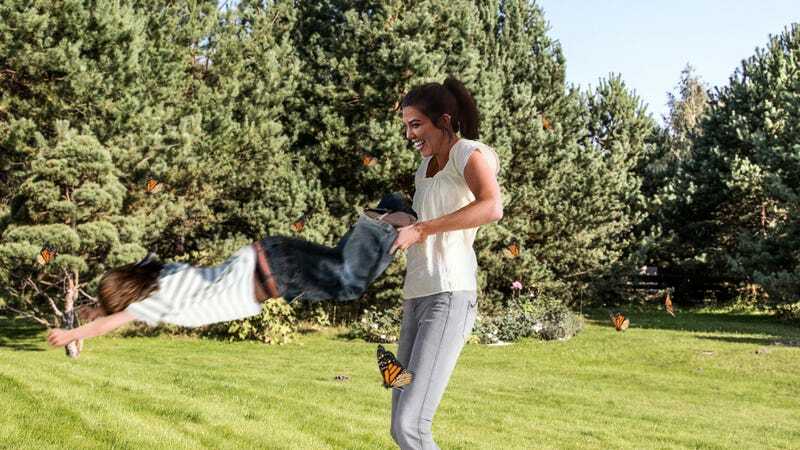 These disgusting mommy-shamers seem to believe that the only way for mothers to catch butterflies is with a butterfly net, but newsflash: not every mom travels everywhere with a butterfly net and sometimes her largest son’s open mouth is the best thing she has available. It’s easy to look down on Kourtney when you’re sitting safely behind your keyboard, but let’s see you online “childcare crusaders” catch butterflies on the go with a bundle of kids in tow. It’s not so easy and actually Kourtney’s son’s mouth is absolutely crammed with butterflies, so believe it or not she doesn’t need any advice from you. As of yet, Kourtney hasn’t officially responded to the wave of criticism, but she has since posted a sly photo of her son lying on his back while she pulls handfuls of butterflies out of his mouth and pins them to a corkboard. (And yes, we love that delicious shade!) For now, we trust that Kourtney will keep on rocking motherhood and will leave all her haters in the rear view mirror like she always does!